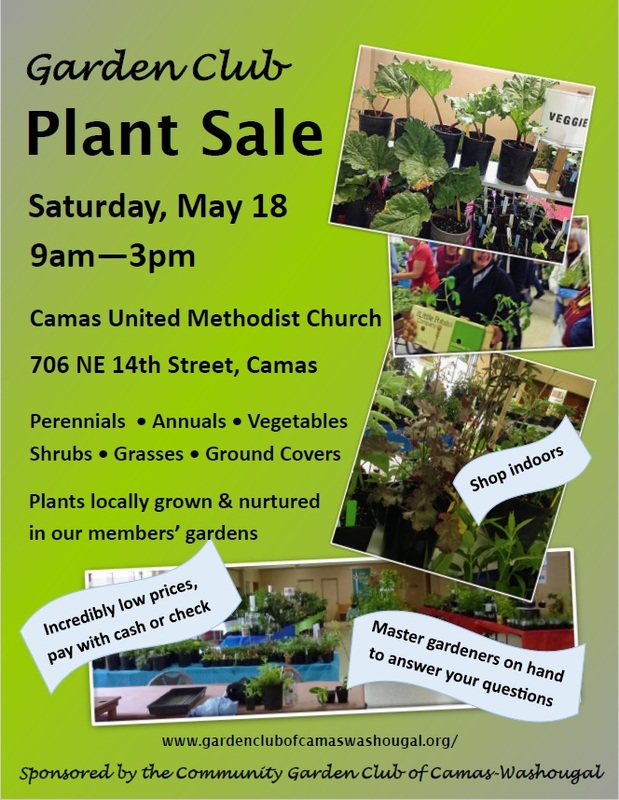 On May 18, head to the Camas United Methodist Church, 706 NE 14th Ave., Camas, WA. There is plenty of parking in the church parking lot and adjacent streets. Shopping is indoors. Check or cash only. CGCCW is a non-profit 501c(4) organization and focuses Plant Sale proceeds towards promoting and supporting local gardening education projects and grants. We welcome new members and you may join at the Plant Sale, if you like! 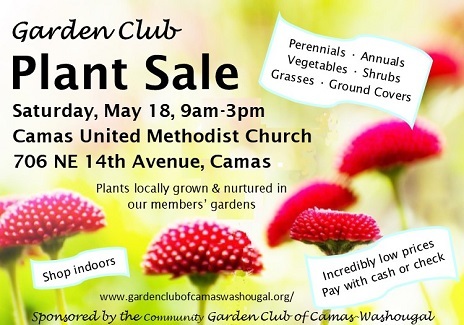 Previous post ← 22nd Annual Camas Plant & Garden Fair – May 11th, Sat, 9am-4pm!